In the league of the mid-size sports bike, Kawasaki Ninja is one of the popular choices of the customers. The Ninja is one of the flagship models of the Japanese manufacturer, which is ruling the roads of Indian markets for quite a long time. This bike gives a sturdy and sporty look targeting the youth. 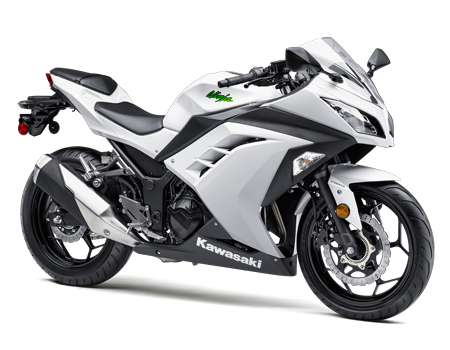 The Kawasaki Ninja got a bike bold bike feel and its sport look and design go miles just to increase its overall appeal. Its sharp and full-faired styling was the main reason for its success. This motorcycle has one Standard versions of 649 cc engine capacity. This series of motorcycle has 3 models Standard version of different engine capacity. This motorcycle has one Standard versions of 1043 cc engine capacity. My Kawasaki bike insurance has already expired. Is vehicle inspection mandatory? Yes it is mandatory- Fix up an appointment for the inspection of your Kawasaki bike. Do note; this can invite a nominal fee. If the insurance company chooses to offer you the coverage, you can make the payment and get the policy in hand. However, if you are lucky enough, inspection may not be mandatory. Yes-an online policy is very much valid. You can also renew your Kawasaki bike insurance policy with a debit/credit biked or even through net banking. Although, for expired policies you will have to contact us for an offline renewal process. You should opt for a long-term or multi-year two-wheeler insurance plan for your Kawasaki bike to enjoy pure convenience and be completely stress-free. You can save on premiums, eliminates the hassles of yearly renewals, skip the paperwork and avoid the gap in coverage since you are insured for an extended period.